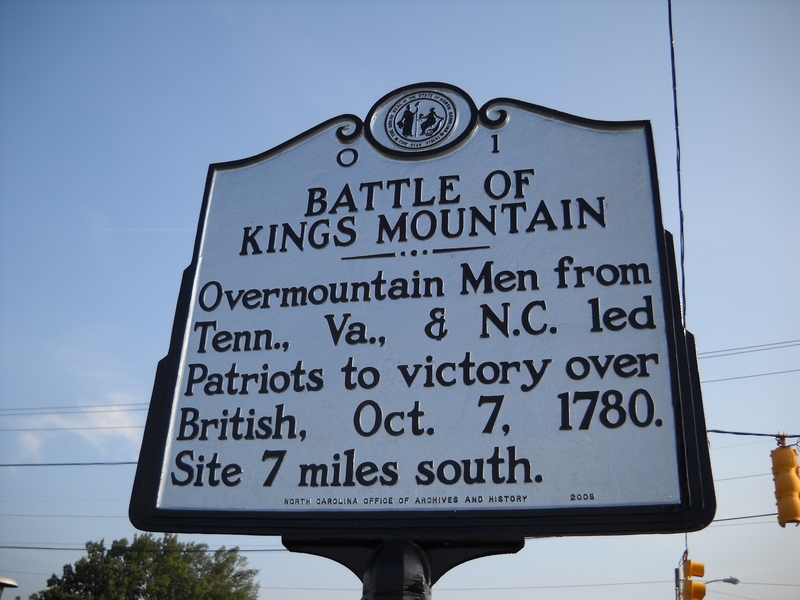 Overmountain Men from Tenn., Va., & N.C. led Patriots to victory over British, Oct. 7, 1780. Site 7 miles south. Amidst the falling leaves and autumn chill of early October 1780, Whig and Tory forces met at Kings Mountain, an engagement that, as a sound Patriot victory, heralded the beginning of the end for British control in the South. Patriots in the piedmont and western regions had begun attacking Tory forces, and leaders such as William L. Davidson and William Davie contributed to creating an atmosphere of Tory persecution in western North Carolina. In September 1780, British Major Patrick Ferguson, in charge of Cornwallis’ left flank, decided to quell the rebellious region. Arriving near Old Fort, he warned mountain residents that if insurrection continued, he personally “would march his army over (there) and lay waste their country with fire and sword.” Later that month, Ferguson was to march his forces—almost all of them Loyalist militia—to join Cornwallis’s main element for an assault on Charlotte. For a number of reasons, he did not; on September 26, however, Cornwallis attacked and captured Charlotte just the same. A band of approximately 160 volunteers—or “backwater barbarians” as Ferguson referred to them—engaged a Tory force at Bedford Hill on September 12, 1780, and while the result was inconclusive, the over-mountain men took courage from their performance, confidence that would prove invaluable less than a month later at Kings Mountain. At Sycamore Shoals (now in Elizabethton, Tennessee), along the banks of the Watauga River, an amalgamation of local militias assembled on September 25, 1780. Colonel Isaac Shelby led 240 men from Sullivan County, William Chronicle and Joseph Dickson led 75 men from Lincoln County. On October 6, the Whig force, strengthened to 1,300 men, set out to engage Ferguson and his Loyalist militia, who had just left camp in Cleveland County. Both armies spent the eve of the battle near Gilbert Town, in present-day Rutherford County. In the early afternoon of the following day, Patriot forces arrived at the foot of Kings Mountain, named for a farmer who once lived in the area. The Tories had camped atop the mountain, and having formed a ring around the summit, were prepared to repel any attack. Around 3 PM the frontiersmen attacked. Surrounding the base of the mountain, columns of men engaged the Tory line, but were kept at bay with musket volleys and bayonet charges. The mountain men released imposing war cries and maintained the assault; and soon the enemy’s elevated position caused Loyalists to fire over the heads of Patriots racing up the incline to overrun the first defensive line. Quickly overwhelmed from both sides of the mountain, some Loyalists began contemplating surrender. Ferguson resisted, but soon was lured into the crosshairs of a dozen rebel marksmen, and after being filled with shot, was dragged by a boot caught in the stirrups of his horse and haphazardly delivered into a cluster of trees, where he soon succumbed to his injuries. Their leader dispatched, Tories surrendered by the drove, yet the undisciplined mountain militia emptied their musket barrels into groups of huddled Loyalists. The carnage continued until Whig officers were able to restore discipline, but not before dozens of prisoners were murdered. The treatment ironically was termed “Tarleton’s Quarter,” the namesake being British colonel Banastre Tarleton, an officer who, at Waxhaws a few weeks prior, ordered his mounted troops to ride down and execute Americans who had already surrendered. The end result at Kings Mountain found the Loyalists with over 240 casualties and over 600 captured. The Patriots had sustained less than 100 casualties. 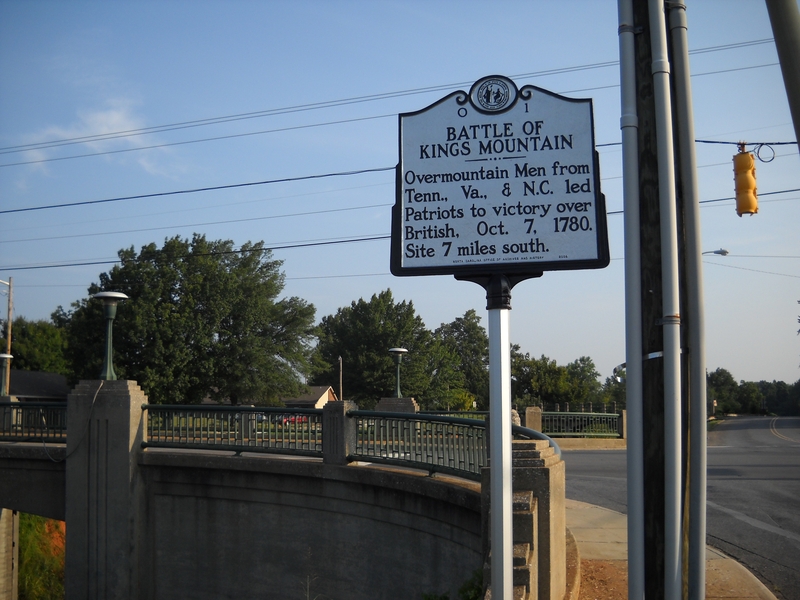 The Battle of Kings Mountain, like the Battle of Moores Creek Bridge, was an engagement crucial to the Revolutionary War in the South. The humiliating defeat combined with “Tarleton’s Quarter” and the brutal treatment Loyalists endured drew few southerners to the British cause. The slaying of Ferguson and the routing of his army also lent Cornwallis’s army a deafening blow. While crushing British morale, it also provided the Continental Army precious time to determine the best plan for undermining any hopes England had of conducting a successful southern campaign. The Kings Mountain Battlefield is now a National Military Park in South Carolina. There are grave markers of participants, both Loyalist and Patriot, to be found around the site.